Why Has The Driving Test Changed? Home > Driving > Why Has The Driving Test Changed? 15 Aug Why Has The Driving Test Changed? In December 2017, the DVSA changed the UK driving test, introducing new manoeuvres, a longer independent section and – notably – incorporation of satellite navigation procedures into the test, with the driver being expected to use a sat nav to get around easily without it becoming a distraction. But why did this change come about? The new manoeuvres are perhaps the less obvious alterations to the existing test. Reverse around a corner will no longer be examined, nor will turning in the road. These have been cut in order to give more time to focus on driving on faster-moving roads as well as the addition of some previously untested manoeuvres. Narrow, fast and often throwing up unpredictable hazards, country roads have the highest number of fatal accidents, so it’s easy to see the logic behind the DVSA’s decision, namely ensuring that less time is spent on back-road manoeuvring and instead dedicating more time to areas where statistically new drivers are at increased risk . As well as an overall reduction in time spent on slow moving exercises a student may now be asked to pull up on the right-hand side and reverse back two car lengths before getting back on to the road safely. They may also be asked to drive forward into a parking bay as well as answering a vehicle safety question while they are driving, probing their ability to multitask on the move – an invaluable skill to have. The general consensus is that these new manoeuvres are more reflective of the most common kind of tasks required on an everyday basis, but the old manoeuvres remain part of the driving syllabus and of course are still highly useful manoeuvres to learn. The inclusion of sat navs (specifically a TomTom Start 52) into the test, on the other hand, is pretty straightforward. During the independent part of the test – which has been doubled from 10 minutes to 20 – the driver will need to follow the sat nav as it directs them, which can be a daunting prospect as sometimes, like humans, they can make mistakes. 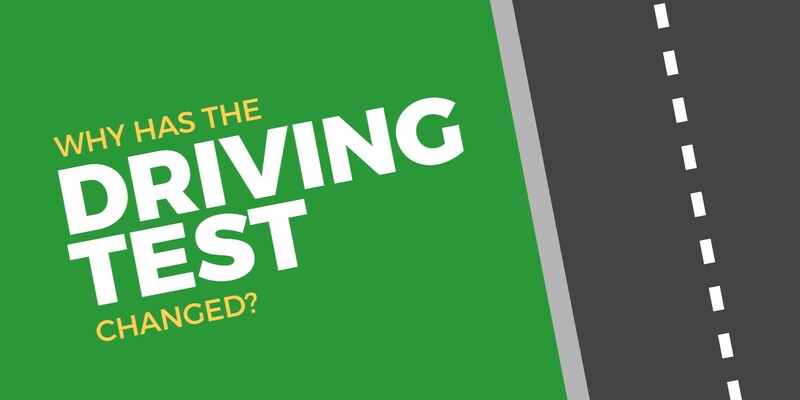 The decision to extend the independent driving portion of the test came as a result of student feedback that they found this section to be the most useful in day-to-day driving once they had passed. As they have become much cheaper and more reliable, and are often fitted as standard on new cars, sat navs are pretty much ubiquitous on the roads these days and the government’s own figures state that 52% of motorists own and use one. Most smartphones can also use mobile data or GPS to help drivers get around. Many companies manufacture sucker windscreen mounts for smartphones, much like those you get with your standard sat nav unit, and some navigation companies offer official apps with more detailed maps and traffic updates. While these new technologies are fantastic and a real boon for drivers, they can also be hugely distracting, especially when something goes wrong. The DVSA’s decision to make using a sat nav part of the test is a forward-looking decision that recognises the fact that an ever-increasing proportion of motorists will be using these devices to get around the country and they want to ensure that this is done safely. Not every single test will incorporate a sat nav, but 80% will, so the sensible option would be prepared to take (hopefully accurate) directions from a slightly robotic voice for 20 minutes or so.